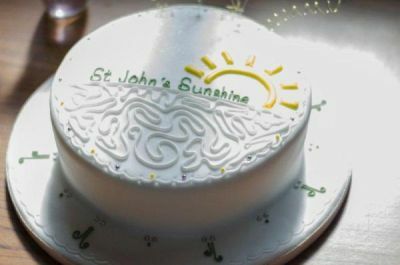 Can you help St John’s Sunshine generate more community energy? 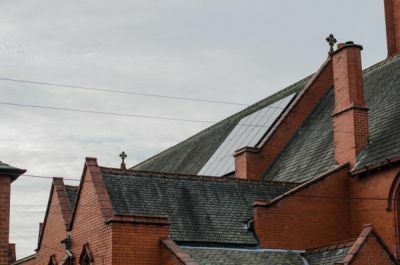 Can you help us put more solar panel (PVs) on the St John’s Church roof and generate more clean electricity to power the St John’s Centre and generate more money for the Sunshine grants to help support Old Trafford community groups. Using a community share offer we successfully raised the funds to install 3.75Kw of solar panels (photovoltaic) on the St John’s Church roof (Phase 1) in 2012. We want to install another 6.75Kw of solar panels (Phase 2) to generate even more clean solar electricity and money for the ‘Sunshine Grants’ pot. We have been busy raising the £11,000 needed and are well on the way to meeting that target to be able to install the panels by the end of February 2015. St John’s Sunshine, c/o St John’s Centre, St John’s Road, Old Trafford, M16 7GX. or email us via the contact us page. Help us celebrate generating even more Community energy!